Unless you’ve been living under a rock, you’ve must have heard by now about this TV show called Stranger Things. It is a science-fiction horror ode to the 80’s that garnered great reviews. It also had a perfect setting and an atmosphere to be emulated in a video game. Thanks to the wonders of Steam Direct, I managed to notice one release that didn’t go further beside copying the logo of the show, but one DMCA later, that story came to an abrupt end. 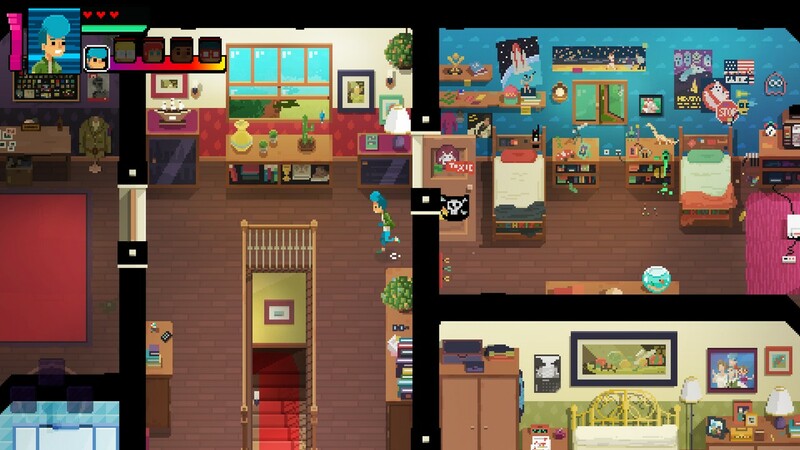 Crossing Souls is a game that has a lot more work and details put into it but how does it bode with trying to invoke that 80’s feel? Does it have its own identity? And most importantly, is it a good game? Let’s find out. California, 1986. A gang of five friends discovers a strange pink stone that enables them to look into the past and travel between worlds. Soon enough, the story unravels to involve a government conspiracy, ghosts and an inevitable plot of saving the world. Chris, Matt, Charlie, Big Joe and Kevin and the names behind the merry bunch of five. They all have unique skills and gameplay abilities that only when combined will help you get past the obstacles and unravel the whole story. While the story itself is engaging, the execution is needlessly stretched. Sometimes, you’ll find main characters talking about things that just happened and it feels more like a game communicating directly with you and telling you what to do next. After the initial quests of getting the gang together and finding the pink stone, I was finally given more control in the game. This small town in California managed to be full of charm. It’s filled with NPCs you can talk to (impressive how almost none of them are just a standing asset), find out more about what’s going on and solve occasional sidequests. It is also full of references to popular movies and TV shows. The Goonies inspired gang is made out of every character cliché and it’s not a bad thing. 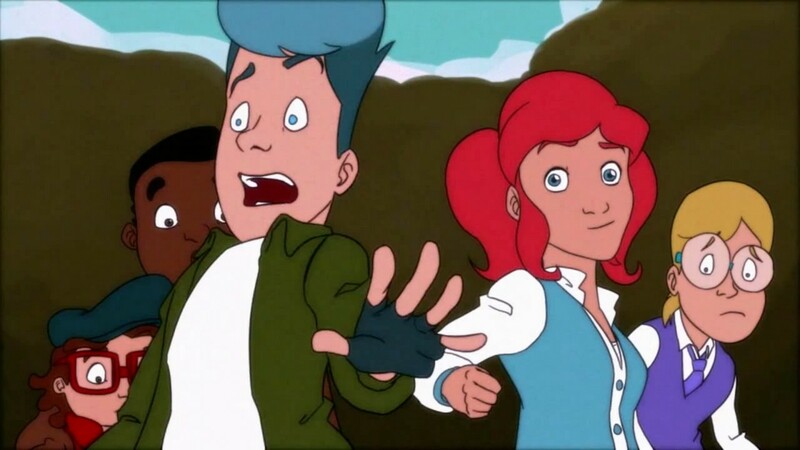 Chris is a blue-haired baseball bat swinging lad, Matt is a geeky inventor type and Charlie is a swift lass with a mean whip for a weapon. Then there’s also Big Joe who can pack a mean punch and lastly, mischievous Kevin, master of pickpocketing. Beside unique weapons, all of them have abilities in the field which can help them reach higher grounds or climb up the vines. The first hour or two are extremely linear and you don’t have much freedom to explore the town, which is a damn shame as you will see later. Every house you can enter, every street and area is brimming with attention to details and people you can interact with. One of the unique elements of Crossing Souls is that as you go further into the story, you are rewarded with cartoon cutscenes with featuring VHS static filter and invoking memories of the cult Dragon’s Lair franchise. The development of Crossing Souls started in 2014 and I imagine a lot of that went into fine-tuning the visuals. It is incredible how much work went into the enriching the environment. Every NPC has some short looping idle animation, making the whole town feel alive. Some of the boss fights and chase sequences are an absolute joy to look at and it is a shame you can’t revisit them without replaying the whole game. 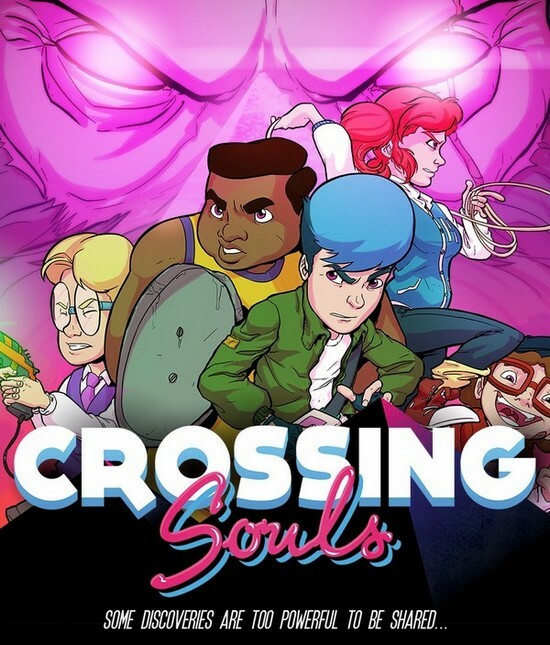 On the store page of Crossing Souls, there is a blurb of text saying how it features “an original score that includes tracks inspired by John Williams and Jerry Goldsmith as well as radical Synth-Pop in the purest 80’s style. It’s something that raised my expectations quite a bit before leaving me disappointed. The music is there during intense story moments and boss fights but as far as everything else, you are always left with wanting more. Sometimes there are just some generic looping synth sounds to remind you that your audio is working. Then at certain locations, you have pieces of original music greatly complimenting the setting and making you want to stick around more (while destroying random oil drums and crates with your baseball bat). 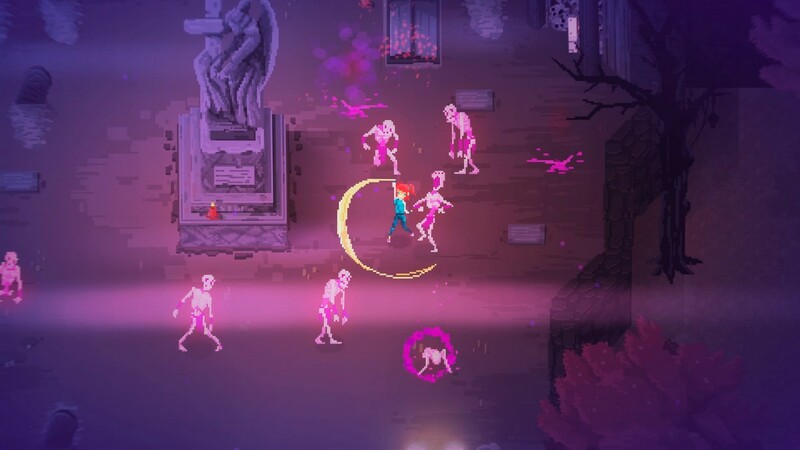 Crossing Souls had a long development resulting is something rather impressive. It features a compelling story, great visuals and crazy attention to details. It manages to be a love letter to 80s nostalgia and Stranger Things while creating and maintaining its own identity. It is a labor of love made by devs who started working on it way back in a dusty attic (which might also now explain the name of their studio) and with a clear vision since the start. 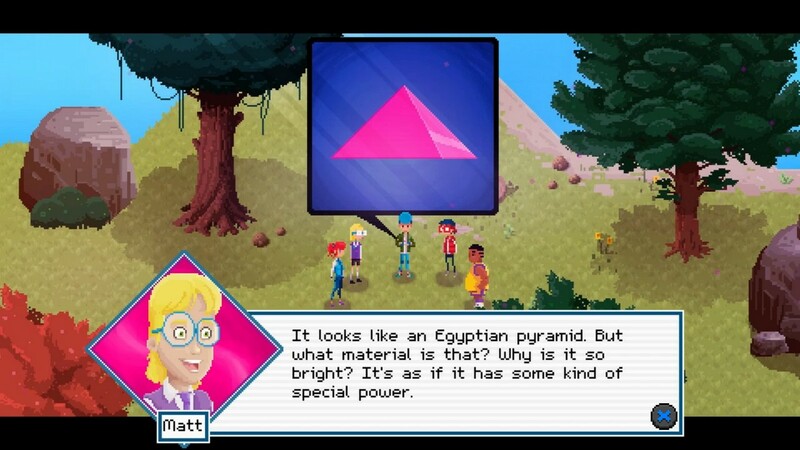 Crossing Souls is full of charm, featuring great pixel art and a plethora of pop culture references.